Our members create incredible work that solve complex problems. The following case studies were submitted by our membership. Click through these projects to see some examples of ways that members innovated solutions for their customers' projects! All members are invited to submit their project for inclusion. Digital Signage Federation (DSF) Chairman Richard Ventura and Society for Experiential Graphic Design (SEGD) President Bryan Meszaros had an opportunity to sit for a discussion about digital technology and experiental design. The episode, moderated by SEGD Chief Executive Office, Clive Roux, also included information about SEGD and DSF activities during New York City Digital Sigange Week. The episode may be accessed here. Morey’s Piers, Beachfront Water Parks and Hotels, a 6-block beachfront amusement park featuring 100+ rides & attractions on the Jersey Shore, has implemented a digital signage network of more than 30 networked screens across its ticket booths and restaurant facilities. Morey’s Piers has been family owned and operated since 1969 and serves an estimated 5 million guests annually. Voted the 2015 best seaside amusement park in the world by Amusement Today and #1 Best Beach Boardwalk by Family Vacation Critic in 2015, the amusement park spans over eighteen acres and includes three amusement piers and two beachfront water parks. The sales staff at Morey’s Piers often found that they spent more time explaining the various pricing options to visitors than they were actually selling tickets. Therefore, they required a simple and effective way to convey the best deals for the customers. The Boys & Girls Club of Greater Holyoke, one of the oldest affiliates of the greater Boys & Girls Clubs of America, implemented a digital signage network powered by Mvix. The goal is to engage parents and club members to increase participation in club events and activities. The Holyoke Club serves more than 350 youths daily and operates 3 satellite branches, including a teen mentorship program. The Club runs childcare services and several academic and recreational after-school prov grams for kindergarten through high school students. The staff at Holyoke Boys & Girls Club pinned announcements on cork boards but saw very little engagement from parents and kids. The Crowne Plaza Dulles Airport, located just outside of the nation’s capital, launched a digital signage network powered by Mvix for their hotel lobby, corporate meeting rooms, and employee spaces. Conveniently located two miles east of Dulles International Airport, Crowne Plaza recently completed a $14 million renovation. The renovation included upgrades to its 327 guest rooms, 12 conference spaces, and the addition of Starbucks, Houlihan’s Restaurant and Bar, and the Executive Club Level & Lounge for business travelers. The transparent LED display is a sort of innovative glass-like LED display, it’s evolved from curtain screen with thinner PCB strip and smaller pixel pitch. Unlike the traditional LED video wall, it will not block the light, allowing the audience to see what is shown on the screen while still being able to see through it. 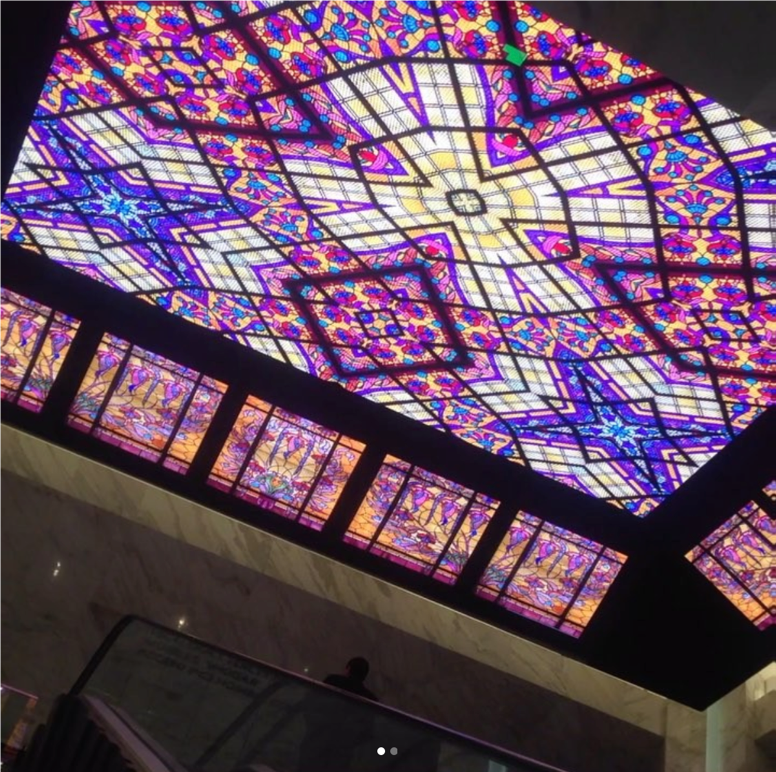 DCBolt Productions assisted in the design, implementation, software and content development of the video system for 55 Water’s LED lobby wall installation in New York City. DCBolt continues to develop custom content that allows this canvas to evolve through vibrant illusions, ambient branding, eye candy and infotainment. The installation is visible at 55 Water Street in NYC and the lobby is open to the public for viewing 24/7. DCBolt built a custom windows-based media server to handle the approx 8K pixel space, and is using Signagelive CMS to manage 5x scheduled layouts. With over 50x assets of custom content, that range from ambient branding to perspective illusions. DCBolt designed a multi-windowed infotainment layout for the high-traffic hours of the morning, afternoon and evening rush periods which display a variety of content feeds, including live stock tickers, transit, weather, news, sports and social media. Sterling, VA. January 25, 2018 – The YMCA of the Rockies, a non-profit network of conference centers serving more than 300,000 visitors annually, selected Mvix to power their digital signage network spanning two campuses. The YMCA aims to put Christian Principles into practice through programs, staff and facilities in an environment that builds healthy spirit, mind and body. They accomplish this by hosting conferences and retreats of religious, educational and recreational nature, as well as family retreats, traditional summer camps for children and leadership courses for their staff. In order to empower guests at their conference centers, the YMCA of the Rockies needed an engaging communication network that would inform visitors about the activities and programs available to them. Keeping these challenges in mind, the YMCA of the Rockies needed a solution that could easily and remotely distribute multimedia content to their lodges and activity buildings at both conference centers. The system also needed to support multi-user access to enable collaboration between the YMCA staff.